Can Invisalign Help With TMJ? If you regularly suffer from tension headaches then there is a good chance that you grind your teeth while you are asleep at night. This can be a symptom of TMJ. Side effects from this can include eroded enamel, gum recession, and cracked teeth. TMJ has been known to cause your jaw joint to hurt and your facial muscles to become very sore. When your jaw is misaligned this also can be a cause of having TMJ. Keep in mind that a dentist can not diagnose TMJ, but they can assist in treating the symptoms. 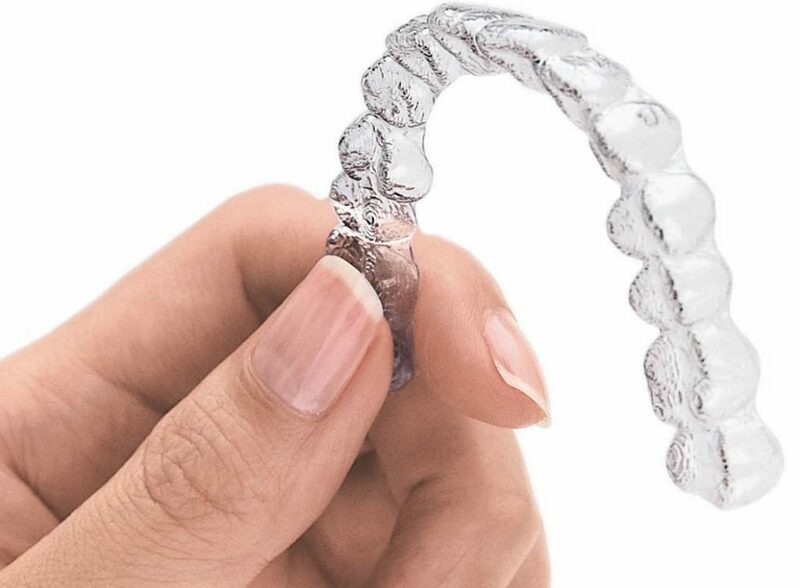 An Invisalign applicance is one solution that can be used to not only help with straightening your teeth, but it can also help with TMJ or teeth grinding. Grinding your teeth is very common and occurs most often during the night while we are asleep. The benefits of Invisalign could potentially protect your smile by preventing you from grinding your teeth, and aligning them all the same time. An excellent way to reprogram your muscles that cause grinding of your teeth. When teeth are aligned the way they should be, the Temporomandibular Joint is able to open and close freely without any pain or deterioration. When the jaw joint is crooked it can cause stress on the joint which creates inflammation and pain. When your teeth are aligned correctly it takes the stress and strain away from your jaw joint and eliminates irritation. Sometimes the pain and the headaches that result in having TMJ is just too much to handle. It might only take a simple solution, such as Invisalign, to make the pain and discomfort all go away. Invisalign may be the TMJ treatment our patients in Boston have been looking for. You do not have to live with TMJ pain every day. Our staff cares about our patients and will help you to know if Invisalign is the right solution for you. Schedule an appointment with our office today.